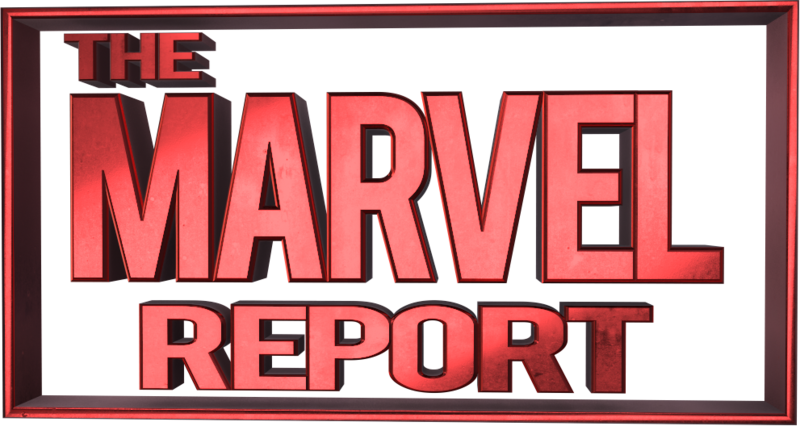 Here at the Marvel Report we strive to bring you firsts – firsts in news and firsts in fandom as well as fun, family, and yes – even fashion. Keeping with our tradition of firsts welcome to our first Fashion Friday column. Every Friday we’re dedicated to bringing you marvelous fashion news straight from brands like WeLoveFine, Her Universe, Elhoffer Design and more. From cute accessories to must have apparel, Fashion Friday is the place to get the looks to attend everything from premieres to conventions to viewing parties and more. This week we’re taking Logan. March 3rd is fast approaching and the far-flung future story of the Wolverine and X-23 (the new wolverine) is poised to take home R-rated box office gold. Atomic Tickets is setting up a give-away so that if you order tickets early you get one of six free posters drawn by multiple famous comic artists. It’s this week’s “premiere gear” and if you’re looking for an outfit we’ve got the tops and accessories to make your Friday special and exciting. Our shirts for boys and girls are from welovefine and Amazon this week. Pair these with a nice pair of jeans (black is preferred) and your choice of accessories to make an unforgettable Friday night ensemble. This shirt features X-23, one of the stars of this film and the potential future wolverine. Laura Kinney’s a popular character with a big fan-base. Laura’s a big wolverine fan and her classic outfit honors both Logan and Laura himself. This shirt is another X-23 cover with an awesome red tint. A little more wild, it pays tribute to Laura’s weapon X past. If you’re a summer (summers look good in red) this is a good piece. Pair with a black pair of jeans and you’re ready for a rip-roaring night on the town. This movie shirt features one of the actual film posters – Laura’s hand holding Logan’s claw. This might be a bit on the nose as far as “film” shirts but if you’re as excited as we are for Logan this is a great buy and with Amazon 2 day shipping it’ll be delivered quick. It’s a good purchase after the fact as well, so if Logan becomes your favorite X-men movie (and we all know it will) this is the shirt for you. This classic Logan shirt features the wolverine we all originally fell in love with from the X-Men 90s cartoon. Yellow spandex might look a little odd but we all know it was the Wolverine we fell in love with – our first introduction outside of the comics to “the wolverine” in cinema. It’s a nice book end to the cinema career of one of the first superheroes, and one of the best. If you’re not a big T-shirt fan there’s always a “disneybound”. 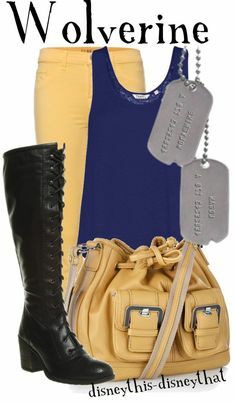 coined by Leslie Kay, a Disneybound is applying colors to mimic the color pattern of popular characters. In this case, you can match tops and bottoms in your own closet (or a quick trip to Target or a thrift store) into an outfit that’ll make people think Wolverine. Seen above is his yellow and blue outfit. It doubles for Laura’s as well, just substitute 2 claws for his traditional 3. You could also do different shades of black for Laura and accent it with our top 3 favorite accessories. 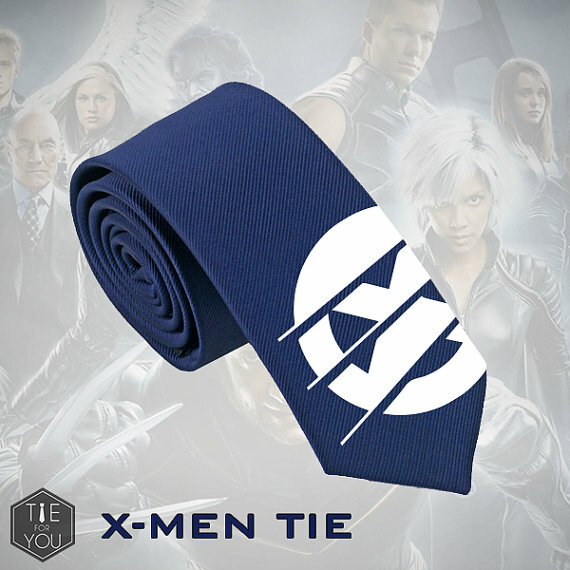 This tie is both X-men friendly and wolverine friendly. Etsy is a great source for unique accessories. Pair this with a yellow top to make a really cool ensemble. 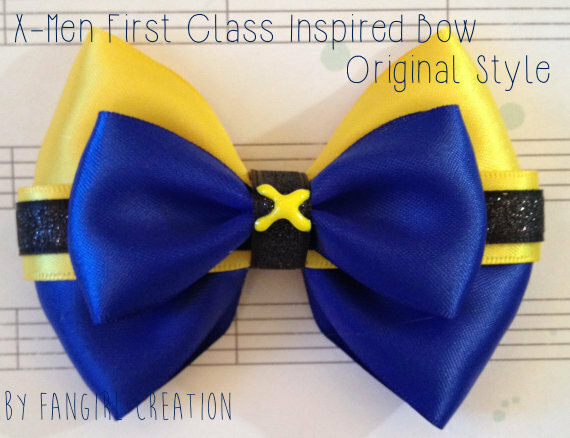 this bow is further proof that etsy is your one-stop shop for fun accessories. You can pair this with anything from your potential disneybound to those geeky and fun T-shirts. Done in the classic ensemble this is the right item for the fan on the budget and the shipping seems priced to move. There’s even these cool nail decals paying tribute to the X-men and their return to prominence. 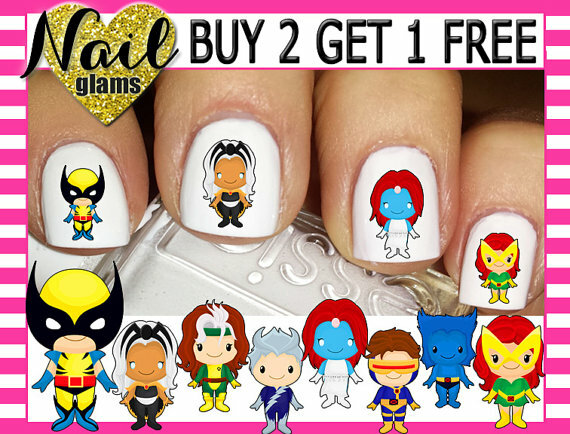 From Legion to Logan the X-men are coming back into style and these nail art pieces are a must for any fan. They last awhile too so if you’re as excited as we are for the X-Force film or New Mutants you can keep them or re-order them for future premieres. That concludes our first Fashion Friday! Are you as excited as we are for Logan? Planning to pick up any of these outfits? Have any suggestions for future fashion tips? Sound off in the comments below. Logan arrives in theaters March 3rd.